I like TACOS. Like, I really like them. I could eat them on the daily, but especially on Taco Tuesdays! 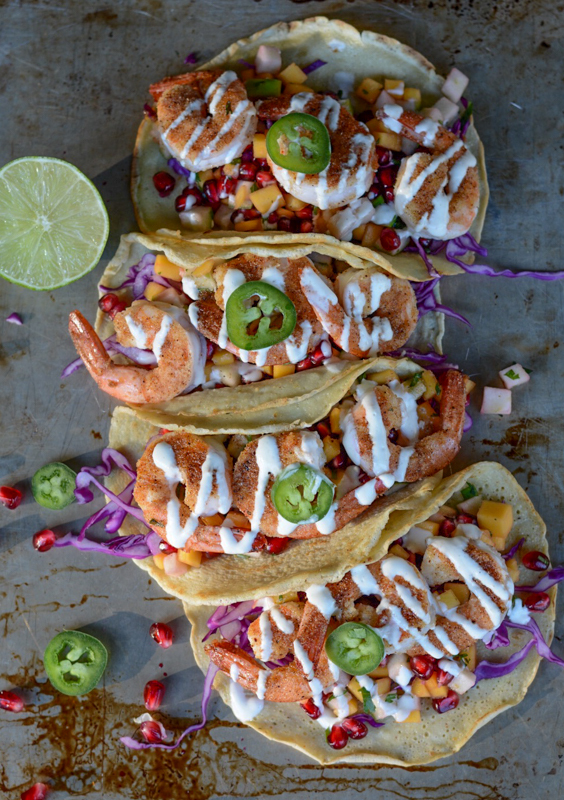 Shrimp tacos cook super fast, so this recipe is great when you need a quick dinner! I like to always have a bag of frozen, uncooked shrimp in my freezer because they are super easy to defrost in a pinch. For the shrimp, my favorite way to cook them is in the oven under the broiler for approximately 6 minutes. It’s fast and hassle free. I melt some ghee and my seasonings and toss the thawed shrimp to coat both sides. Then lay them flat on a foil lined baking sheet for easy clean up. You know the shrimp are cooked when they turn pink. For the tortillas, I used Stupid Easy Paleo’s recipe for Simple Paleo Tortillas. They are stupid easy! And so good! For the Cumin-Lime Crema, I used the recipe from the Tacolicious’ cookbook. When I’m in SF every other week, I enjoy going to TLish for some Taco Tuesday!! For the salsa, I made a Fall inspired Pomegranate Apple Mango Salsa. This may seem to be an unlikely combo, but trust me, it worked! 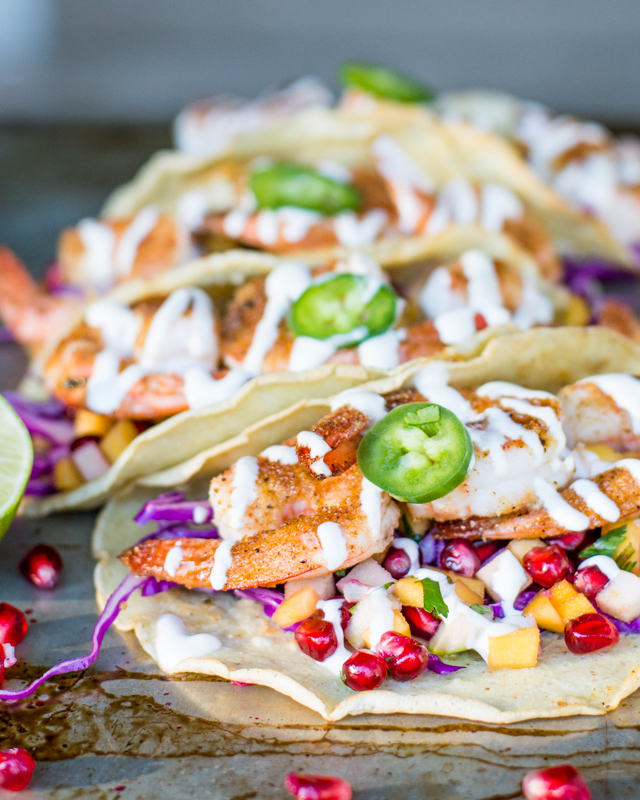 Assemble tacos with your favorite garnishes and ENJOY!